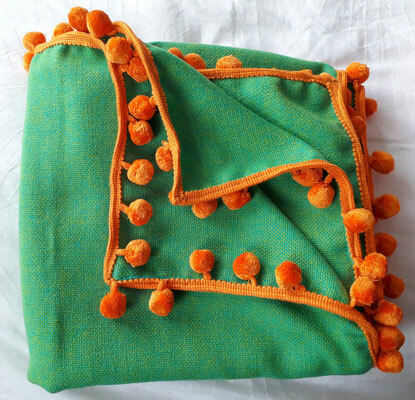 Vibrant BUTE tweed throws trimmed with contrast pom poms. 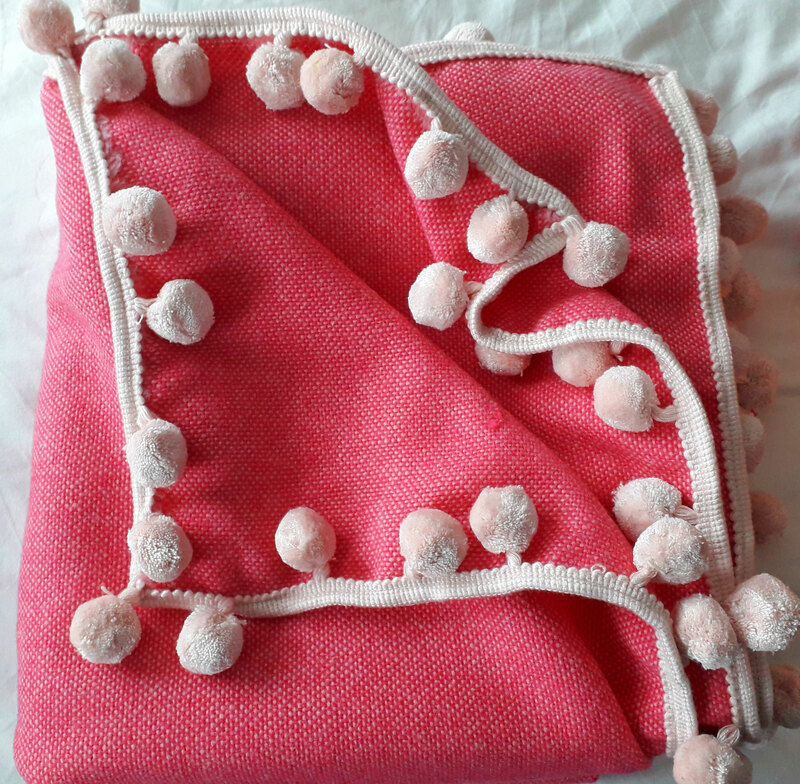 100% wool tweed in 3 colours, green, orange and pink trimmed with orange, pink and pale pink cotton pom poms respectively. 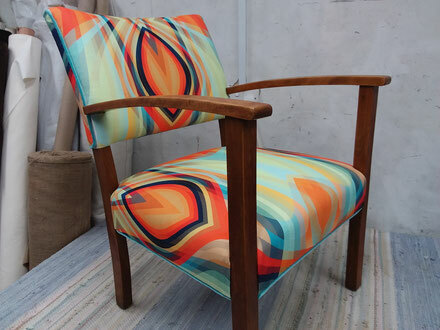 Mid-century open armchair fully restored with new springs and sustainable rubberised hair and wadding. 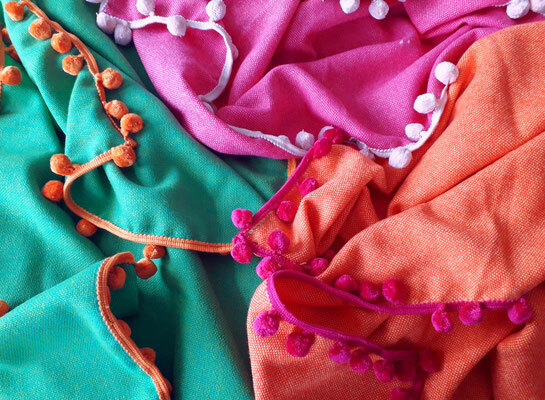 Covered in beautiful zingy 'Bliss' linen by Colour & Form and trimmed in soft aqua velvet... sunshine in a seat! 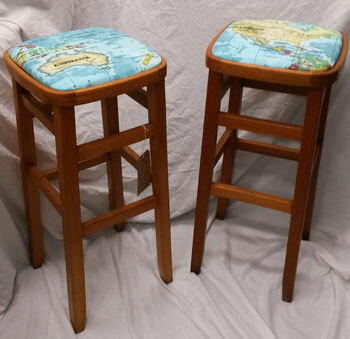 Retro wooden high stools - design originates in the 1950's. 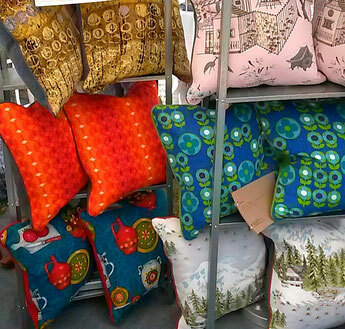 Selection of piped, zipped cushions with original 50's or 60's print covers and contemporary BUTE wool on reverse. 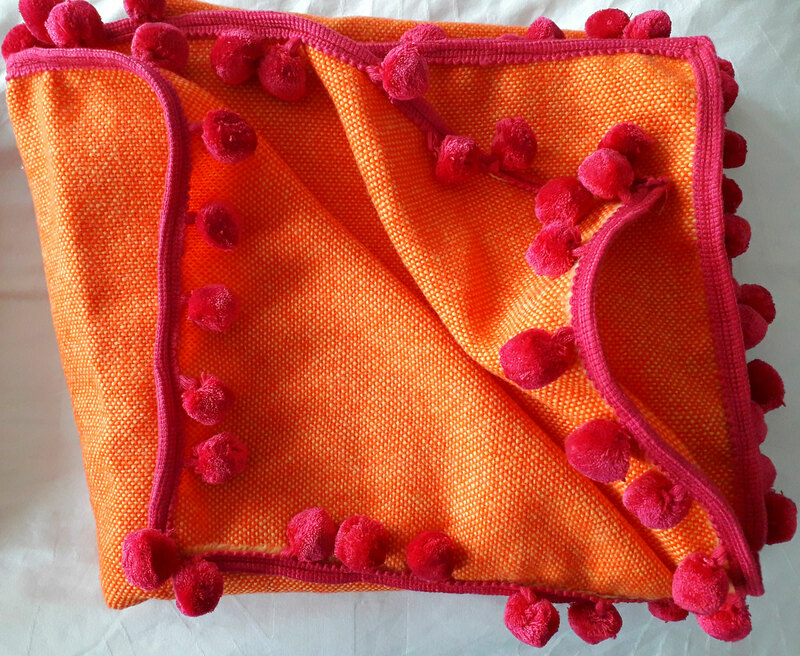 All with duck feather pads. 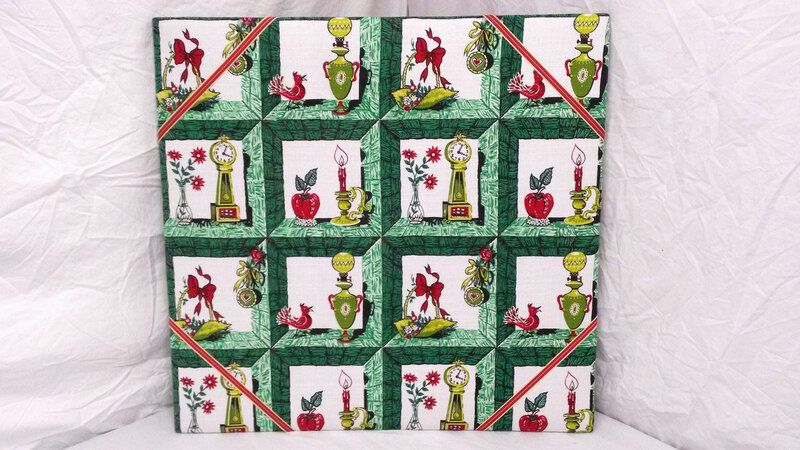 Large padded pinboard covered with original 50's fabric in kitsch household object design - green, red and white palette. 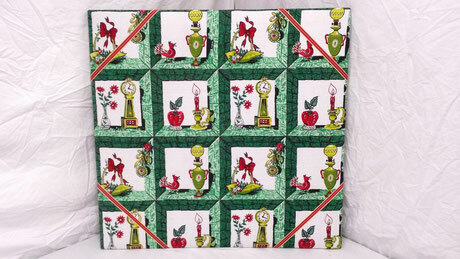 Square board with ribbon on corners only to make most of groovy pattern.